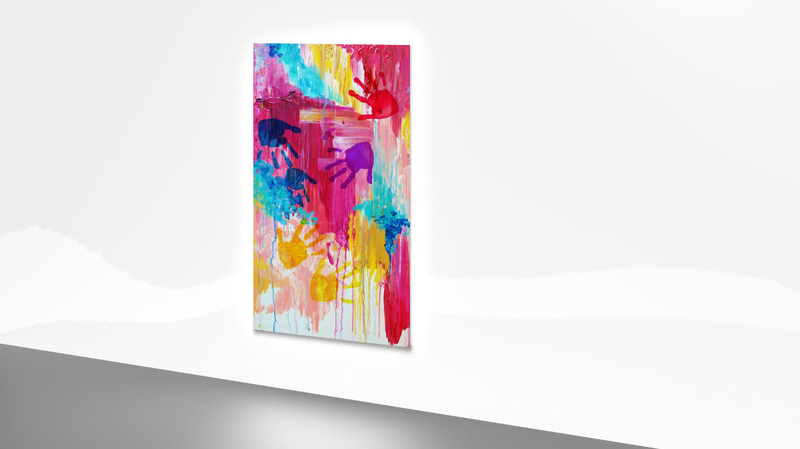 Interactive social painting to interact with friends or family members that are far away. 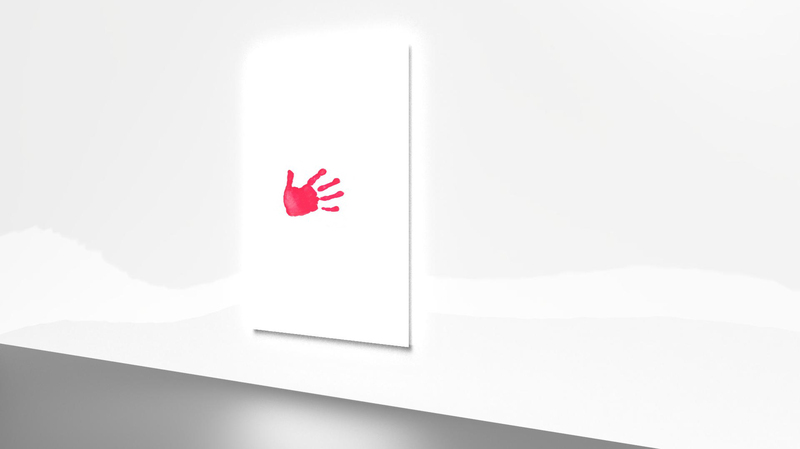 When pressing a hand to the canvas (screen) a handprint appears in a certain colour. 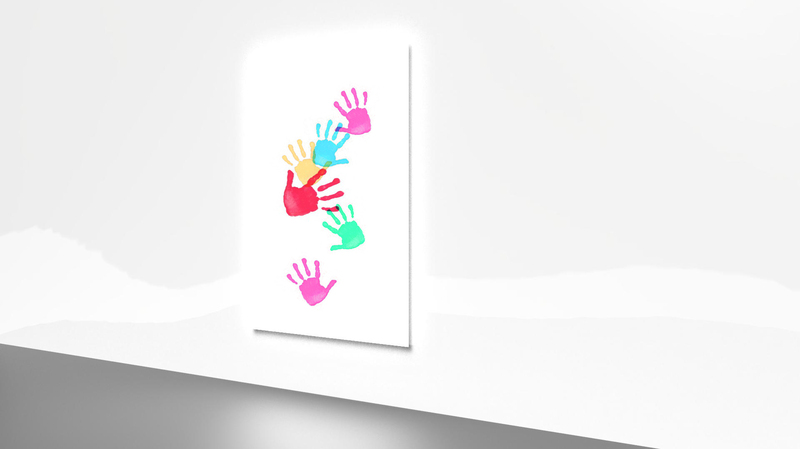 This handprint also appears on connected paintings. The handprint fades over time, so the users are encouraged to keep creating art together. The concept also features a slightly increased temperature at the touched area, to simulate body heat. The surface has the feeling of an actual canvas, and the touched area is slightly raised to emphasize the experience of a painting rather than a touch screen. Concept created as part of the subject Multisensory Design. Project team: Tim Lotterman, Kevin van der Ven, Tom Simons. 3D model constructed from 2D stereo video data. A robot wing was moved in a wind chamber and a vacuum chamber. A 3D construction was needed to determine the effects of the airflow on the wing. The markers on the wing were tracked and a 3D path was created from each marker point. The paths were used as vertices to create a 3D model. The SIFT algorithm was used to find the marker locations. The markers were Tracked during the next 3 frames, to minimize errors. 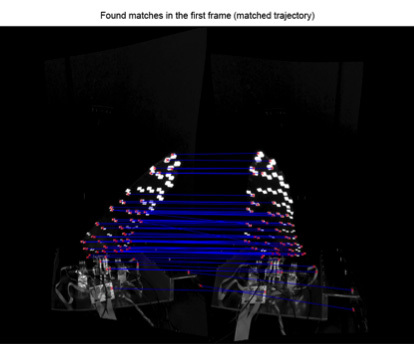 Finally, the trajectories (instead of the individual marker tracks) were matched with the trajectories of the accompanying stereo frame. 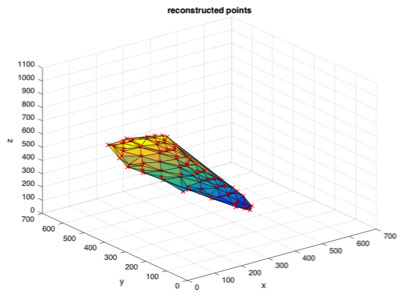 Finally a 3D reconstruction was made from the matched marker trajectories. Image processing was done in MATLAB. Project was done together with Marlijn van Erk. 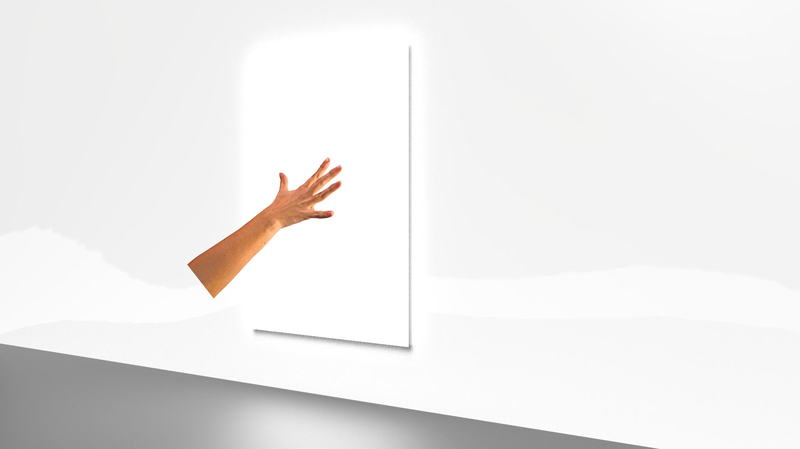 Redesign of a VR-interface using Microsoft Pixelsense and peripheral devices. 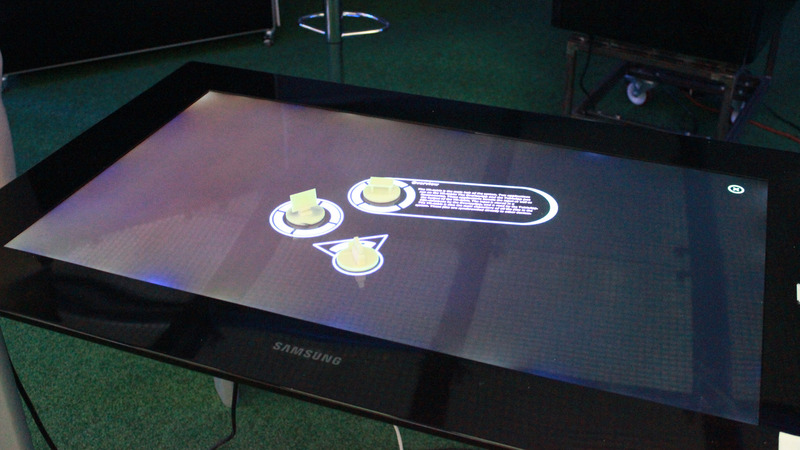 The interface is centred around a Pixelsense table, which allows for physical 3D models to be recognised when placed on its surface. The interface will display additional information about the model, as well as a virtual CAD-model on a separate screen. 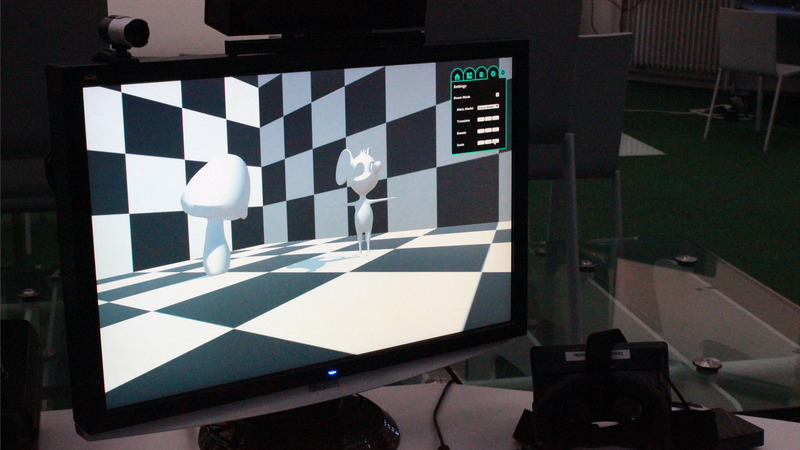 The virtual models can either be displayed by themselves, or in relation to other models as placed on the table. In the latter mode, moving the models on the table will update the virtual relation in real time. The interface can be used to create quick and easy arrangement of models, and can be used to e.g. furnish a room. The furniture type can be chosen as physical model, and the user can then make quick arrangements. 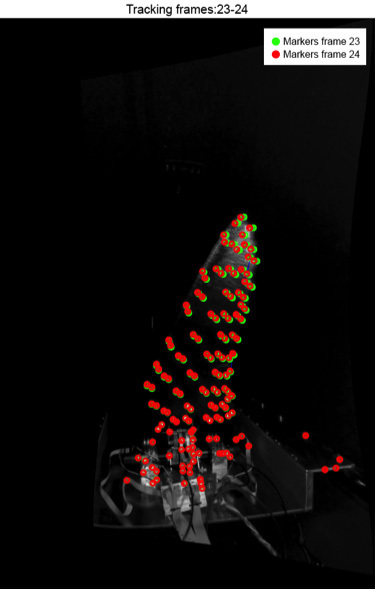 Attrubutes such as colours can then be easily adjusted on the virtual models. 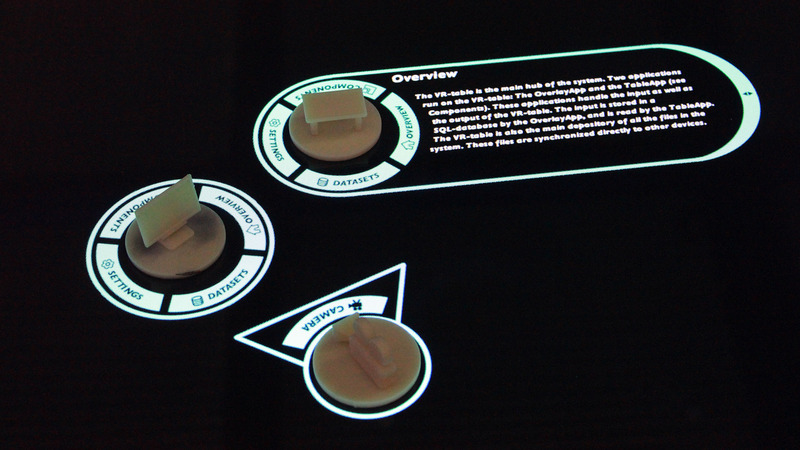 The interface was made as part of a Bachelor's graduation thesis. Promotional video created for AEGEE-Europe. The video is based on AEGEE's vison and mission, and features footage from AEGEE's events and projects. The video was created for recruiting purposes, so its target group consists of students. The style of the video was adapted to fit this target group. AEGEE / European Students' Forum is one of Europe's biggest interdisciplinary student organisations, striving for a democratic, diverse and borderless Europe.